Although the City of Long Beach had no way of knowing, when Friday morning, March 26, 1977 dawned, the city would never be the same again. An auto racing fan-turned-travel-agent -- Chris Pook -- was about to put the city on the international sports map and spark a business, travel and financial renaissance that continues today. Barely 18 months earlier, Pook had beaten all the odds and naysayers by staging the first Long Beach Grand Prix, a Formula 5000 race won by Brian Redman that attracted more than 46,000 race fans and curiosity seekers. He followed that only six months later by staging a Formula One race, won by Switzerland's Clay Regazzoni, that was a moderate success. 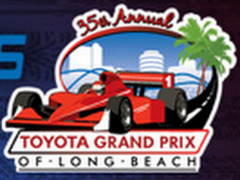 Nothing has been shared for Long Beach Racetrack yet.